There are two new Dyersburg area foreclosures. These are at 88 Vicki Street for $55,000 and this is a 3 bedroom 1 bath house in Goodhope Subdivision. You can get more information about this house by clicking on the Hud Homestore button over on the right. However, if you have an interest in this property please call me to view and offer on this Dyersburg area Hud foreclosure. The second property(picture upper right) is a 3 bedroom 2.5 bath home at 3207 Meacham Road. This Dyersburg area Fannie Mae foreclosure is listed for $84,900 and was last listed in real estate in 2010 for $132,000. This property is listed over on the right under the Fannie Mae foreclosures button. 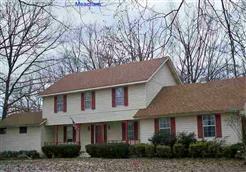 However, please call or text Mike at 731-589-7841 to view or purchase this property.